Happy Valentine’s Day! We hope you enjoy it, whether you’re coupled or solo. It seemed like the perfect time for the Evans Communications team to drop you a quick note and tell you about some of the projects we’ve loved over the past few months. That's Brenda and Kurt Warner, co-founders of the amazing Treasure House, a new home for developmentally disabled adults in the Valley. Kurt was also some sort of athlete in the past as well. We were very honored to help them and their exceptional development director Lisa Hartsock in the creation of Brenda & Kurt Warner’s Celebrity Game Night, which honored Shane Doan on February 9. It was a ton of work but we were able to put on one of the most unique fundraisers you’ll ever see — and so far we’ve been very pleased with the reviews. We’ve also been hard at work helping our clients Plaza Companies and Holualoa Companies revitalize the Park Central Mall property, including defining the new brand for the project and helping with the marketing and public relations. So far, so good as the project is getting an extraordinary amount of interest. On the creative side — hey look, we made a cookbook! 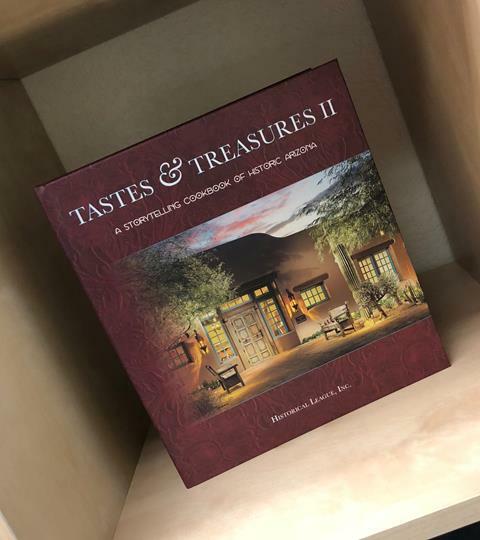 Our amazing creative director Cheyenne Brumlow was the lead on designing “Tastes & Treasures II,” a collection of recipes from Arizona’s finest restaurants and chefs, for the Historical League, Inc. The cookbook is being launched as we speak. It’s a great fundraiser for a terrific organization AND it’s a nice gift for Valentine’s Day! You’ll be able to order your own copy at this link. 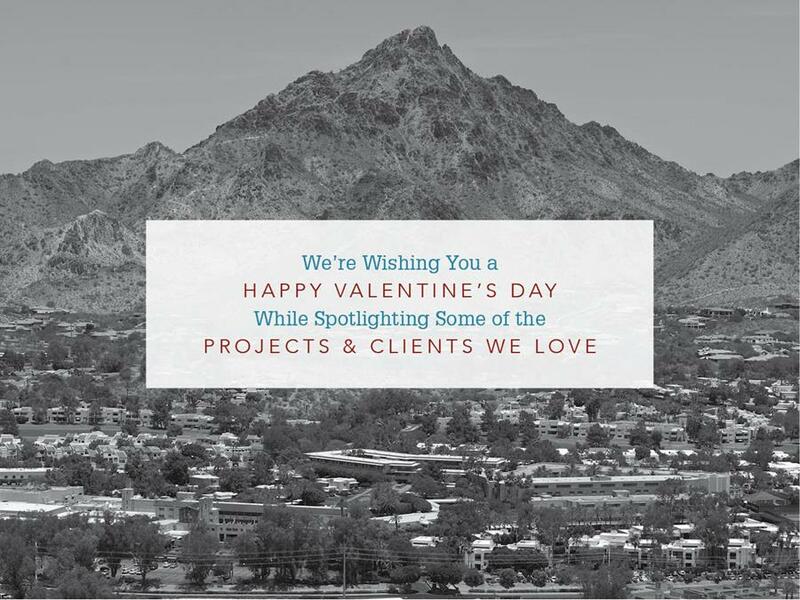 We also love the association management clients we work with, specifically the Association for Corporate Growth-Arizona Chapter and Charter 100. We’re grateful to be able to provide both with extensive marketing, event planning and administrative services, and to make sure their networking and social functions stand out from the crowd. And, if you haven’t done so lately, we invite you to take a peek at Frontdoors Media and Frontdoors Magazine. Our Spring Arts Directory is coming out tomorrow, so keep an eye out for it and see some of the best events and exhibitions the arts community has to offer. Again, Happy Valentine’s Day — we hope you enjoy it! We're giving thanks to some great organizations before the Thanksgiving break! The leaves are falling from the trees, the fall season is winding into the holidays, and at Evans Communications, we're feeling pretty thankful. • We recently had the opportunity to help Educare Arizona thank one of its biggest supporters, Steve Nash, at an event on the same day as Steve's induction into the Suns Ring of Honor. That's us with Steve and his son Matteo above. We're pleased to be moving forward with Educare Arizona and providing them with marketing, public relations, fundraising and development support. • Southwest Human Development is Arizona's largest non-profit dedicated to early childhood development, serving more than 135,000 families each year. We're proud to be able to help them mark their 35th Anniversary with some exciting new outreach efforts in 2016. • Look for more information from us on a fun upcoming event, the Crafty Bastards Brew Fest coming up in February! • We helped Scottsdale Training and Rehabilitation Services (STARS) launch a new event called "SuperSTARS" to help them expand their presence in the community. • We enjoyed helping the Association for Corporate Growth-Arizona Chapter mark its 10th Anniversary with "A Celebration of Leadership," a signature dinner event featuring keynote speaker Admiral Eric T. Olson (RET). And much, much more. You get the idea. We've been pretty busy, but in a great way. But not too busy to take a moment and wish you and yours a Happy Thanksgiving. Enjoy the holiday, and we'll see you soon as we finish off a great 2015!